Allergic to Vanilla: well-styled wednesday: Kris from Fashionista San Francisco! well-styled wednesday: Kris from Fashionista San Francisco! Black Friday is days away and while the malls will be absolute craziness with their midnight madness (seriously???) 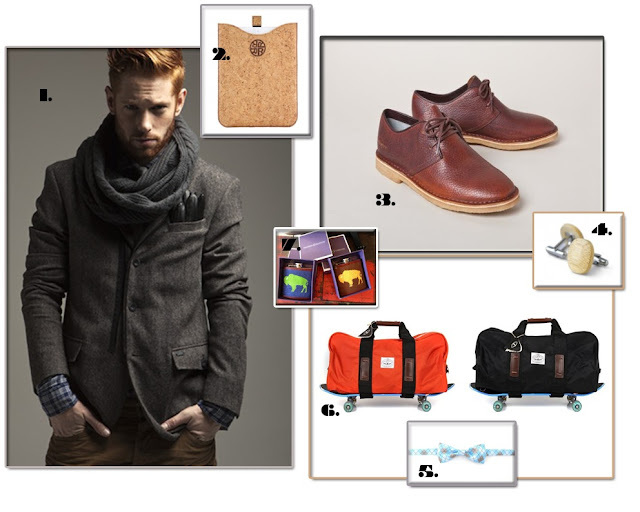 we wanted to bring you our top Gifts For Guys from our favorite SF boutiques. Doesn't it sound endlessly better to sleep off that turkey dinner, grab a cappuccino and a little breakie and cruise the city streets at your own pace? We've got your whole day planned out so sit back, relax, and let us take care of the start and finish of your Holiday Shopping for all the men in your life... cocktails included. Grab your girlfriends and start your morning with some french toast, fresh squeezed OJ and a cap at the Grove Hayes Valley. After you're all fueled up walk across the street to Welcome Stranger. This mens only shop is an extension of our fave spot Azalea and won't disappoint. Great staff and really cool swag. Pop over to Azalea while you are here and grab yourself a little treat...you deserve it. After you've picked up some gear for your guys head on over to the Mission and check out Hangr16. This shop features great art shows and events every couple of weeks and the owners are incredible. They carry a sweet range of mens and womens fashions but we especially love their accessories so this is a great place to knock all those stocking stuffers off your lists. The second best part about Hangr16 is that it's located directly across from arguably the best gastropub in the city: The Monk's Kettle. Grab a giant pretzel and one (or two) of the 200 beers they offer. If you can get the Mikkeller Sleep Over Coffee Imperial IPA do it! After your thirst is quenched head to your last location...Lower Haight. You will wrap up all your mens shopping needs at DSF Clothing & Art Company. Their focus is on the experience of boutique shopping highlighting art, music, and fashion from independent artists. All shopped out? It's time for dinner at Maven, which happens to be our favorite new food experience. The menu is small plates and each dish is paired with either an ingenious cocktail (think Border Crosser: mezcal, bourbon, amaro, vermouth) or a beer or wine. It's all about large shared tables here so it's a great place for a group. Get all of your boys to meet you here and celebrate with the best styled men in town. My fave guy pick for xmas this year! I needed this! I'm all out of ideas for my man this year for stocking stuffers!!! Heading over to check out Fash San Fran! Have a lovely Thanksgiving girl! I don't know what I'm more excited about-the shopping or the new food/drinks to try along with them!!! LOVE the essentials with care for the details!!! Love the idea of avoiding the masses by having a nice brunch and unique shopping experience with your loved one, and picking up some hip stuff along the way! Oh man, I need to make a trip to the States for this! I feel like I was on this little journey, only without the sound of yummy food... I hope you've had a lovely long weekend! how to turn a dress into a skirt + a giveaway!